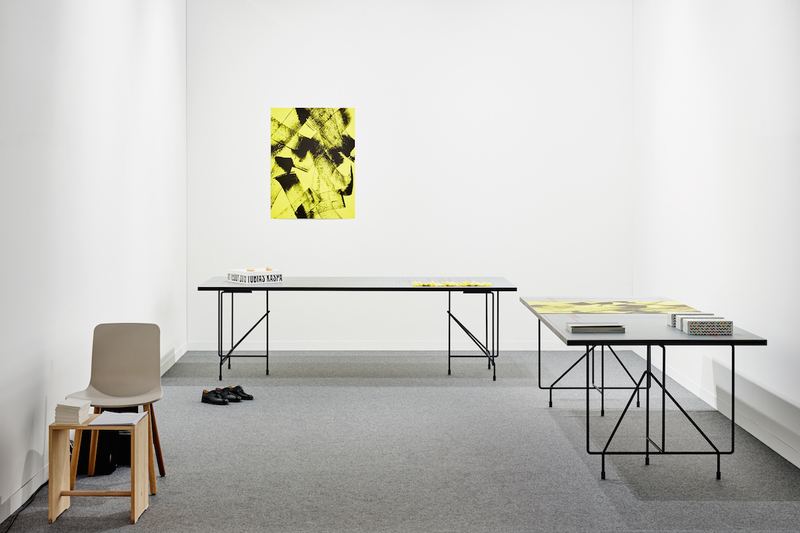 David Maljkovic with Konstantin Grcic, Negatives, tables composed of a linoleum table top and a pair of metallised anthracite grey steel trestles. Each table top bears traces of blade cuts which are filled with red ink, thus creating a set of lines and making each table unique. Format of the table top: 240 × 100 × 3 cm, format of the table: 240 × 100 × 74 cm. Twenty-four tables produced, of which six A.P. 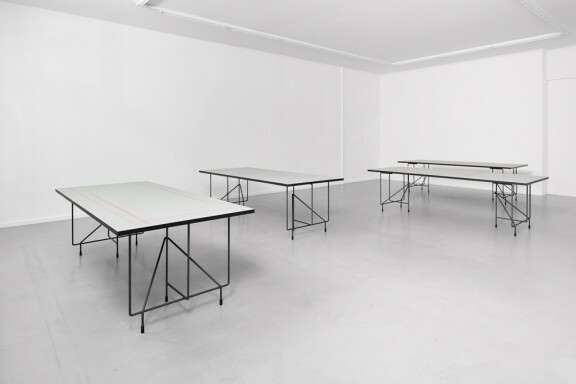 Six tables are reserved for the CEC. Each table is accompanied by a certificate of authenticity, dated, numbered and signed by David Maljkovic and Konstantin Grcic. 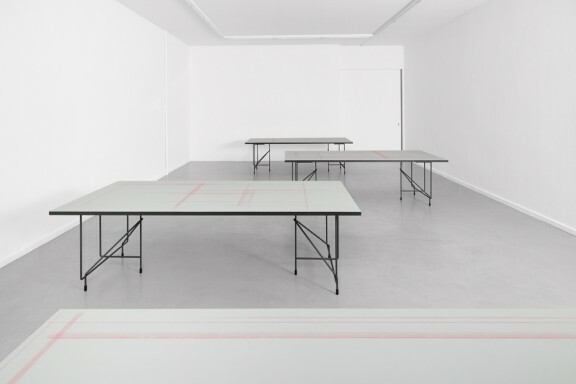 The trestles were designed by Konstantin Grcic, Konstantin Grcic Industrial Design, Munich and produced by Magis Design, Milan. 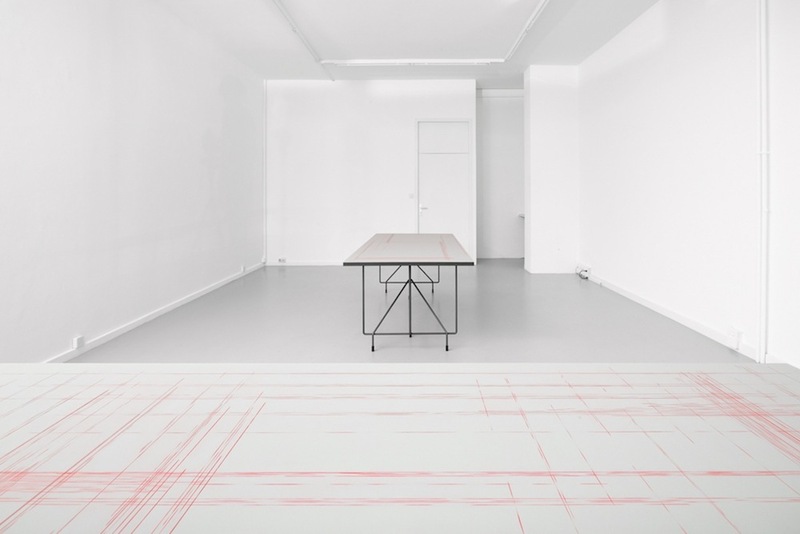 Coedition Sprüth Magers and the Centre d’édition contemporaine, Geneva, 2015.